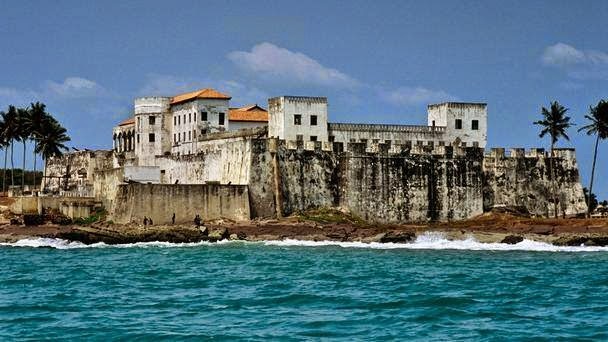 One of the many reasons that Charlottesville chose to have Winneba, Ghana as our first (and still only) non-European Sister City is that Ghana was the transit point for millions of African slaves, through slave castles like Elmina (just up the coast from Winneba). Many Charlottesville residents can trace their ancestry to or through Ghana as a result. Ghana has done a very good job of preserving and telling the tragic story of the slave trade (arguably, better than we have done here in America) and if you ever get a chance to visit Ghana and tour a place like Elmina, the memories of that experience will stay with you forever. Speaking of which, we are currently planning another Charlottesville community delegation to Winneba, tentatively planned for April 29-May 9, 2015. Elmina will be one of many stops on the delegation's itinerary. If you would like to join us for this trip, or just want to learn more about the trip, please join us for a planning meeting this Sunday, Jan. 25 from 1-2pm in the McIntire Room on the 3rd floor of the central library downtown (201 E. Market St.). Open to one and all, you don't have to be a resident of the City of Charlottesville to participate. If you can't make the meeting on Sunday but would like to be kept in the loop about plans for the trip, please contact Dave Norris at cvilledave@gmail.com or (434) 242-5165.